I’ve finally gotten over the jet lag and caught up on things at home, so i’ve got a spare moment to blog about our final day in the UK. We got up around 5:30am local time and headed back towards London. We decided not to risk getting lost or missing our plane by stopping at Stonehenge along the way, so instead we visited Windsor Castle. 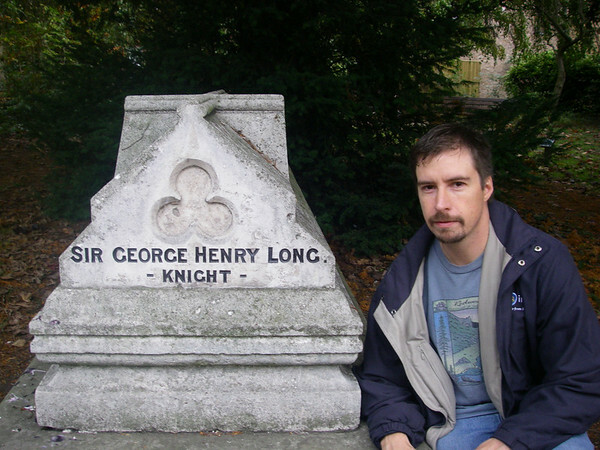 We got there a bit early, so we wandered around town a bit and took some pictures of old knights tombs. Once the tour opened, we only had about an hour. That’s just not enough time to check out Windsor. The place is HUGE. And opulent. Opulent doesn’t even begin to describe the interior of this place. It’s insane. And it’s pretty cool that the place has been constantly lived in for over 900 years. You can see where additions and changes have been made over the years. After a quick trip through the castle we skipped out, got to the airport with only one wrong turn (and one loud honk around one of those @$()$*& roundabouts). The flight was … long. Very very long. Oh so long. And here i am Glad to be back in the good old USA where i can drive on the right side of the road and eat big juicy hamburgers. I think it’s cool that you could see so much stuff in such a short time. And I’m really glad you are home. Thanks, it’s good to be home.